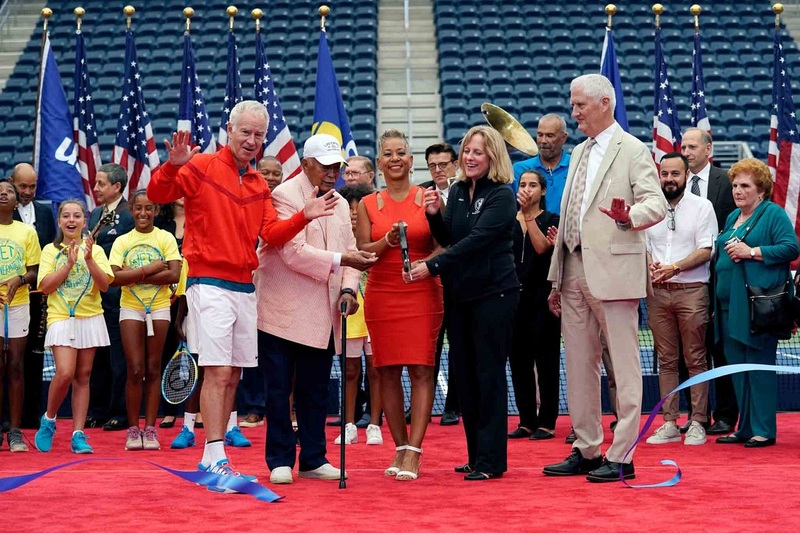 In terms of grand openings, this one was fit for kings -- or more appropriately, Queens -- that surely left a number of legends of tennis and music and thousands of fans of both wondering just what the late Louis Armstrong would have thought to himself. With the brand new, 14,069-seat stadium serving as both the theater and the main attraction on US Open's Queens Day, Queens' own John McEnroe waxed poetic on his four US Open championships. Jazz legend Wynton Marsalis led an eight-piece marching band in a musical performance straight from Bourbon Street. James Blake and Michael Chang then triumphed over John and his brother Patrick in a Legends doubles match that served as a fitting encore. Nearly 1,800 fans were on-hand to witness it all. Click the links below to download video and photos from Wednesday's ceremony.